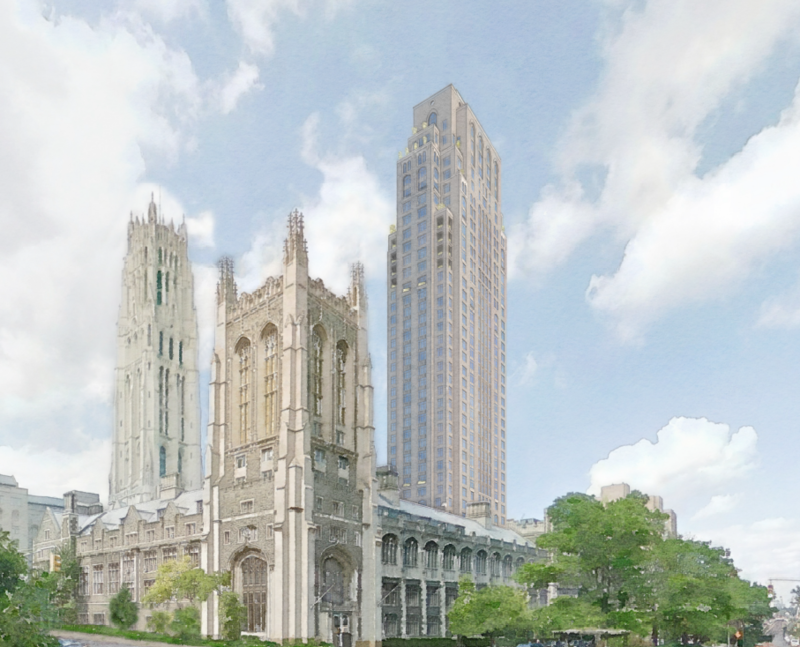 Union Theological Seminary’s initial announcement in 2016 of a $100 million deal to build a market-rate 42-story tower in Morningside Heights provoked strong opposition in a diverse community concerned about affordable housing, residential displacement and non-contextual development (“Seminary plans 42-story tower in Morningside Heights,” Crain’s). UTS is voluntarily setting aside $1.1 million from property sales for projects to mitigate residential displacement in Morningside Heights and meet other neighborhood needs. Jewish Theological Seminary, which announced a similar real estate deal, and with a tower constructed by the buyer of neighboring property already nearing completion, has yet to set aside funds to mitigate the harmful impact of the tower on the community. In Morningside Heights, much of the area from West 110th Street to West 116th Street west of Broadway is a historic district, which will someday hopefully extend to 125th Street. Broadway and east, however, is ripe for private projects, including towers in an otherwise low-rise area, with 24 soft sites identified. These potential oversized and out-of-context developments would threaten the residential and commercial diversity of a neighborhood that, rare in Manhattan, still has affordable housing and family-owned retail. Far from being anti-development, the Morningside Heights Community Coalition supports upzoning of the area for greater density because such a plan could mandate contextual construction and require affordable housing. Councilman Mark Levine is fully supportive of our group’s goals and is fighting along with us for the Department of City Planning to begin the rezoning process. The community has mobilized in opposition to the towers. Upwards of 200 people attend our meetings. Morningside Heights is willing to be realistic, but will not go down quietly.